Finding the Odd one out or different picture among the given set of pictures is a very good visual puzzle. 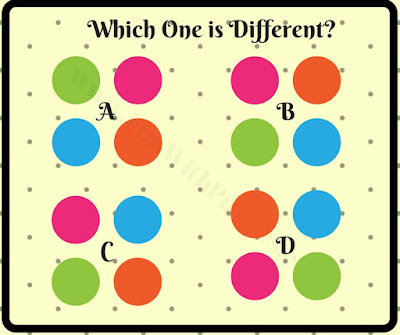 These kinds of puzzles can be enjoyed by all age groups like kids, teens and adults. It is always fun to find the different picture when all the pictures look similar on first glance. 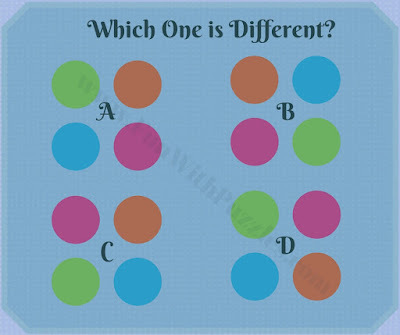 There are many different Odd One Out puzzles in this website. e.g. Numbers Odd One Out Puzzles in which one has to find mathematically which number is different from others. 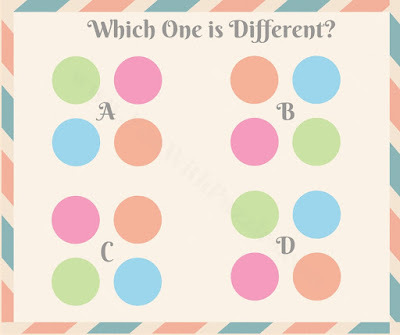 Also, there is Letters Odd One Out Puzzles in which one has to logical find which letter is different from the given set of letters. 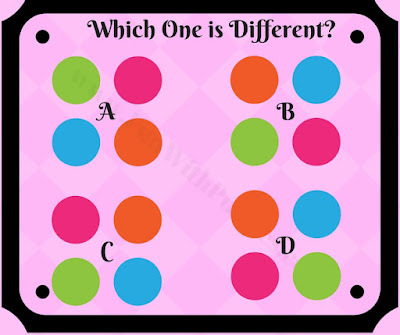 Also, there are picture riddles in which one has to find visually which picture is different from others in the given set of pictures. 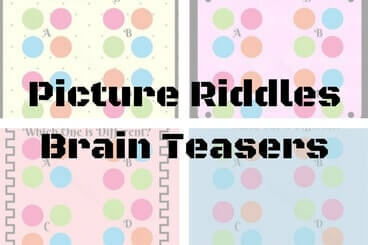 Today's puzzles are picture riddles. 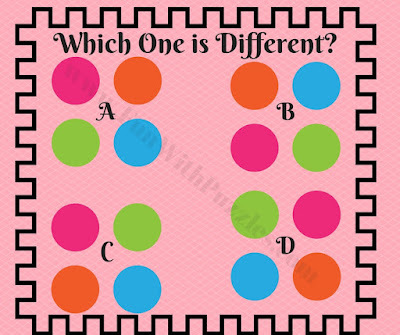 In these riddles there are four similar looking pictures are given. These pictures are rotated to look similar. Three out of these four pictures are exactly alike. The only difference in these pictures is that the orientation of the picture may be different. However, there is only one picture which is different. Your challenge is to find out this different picture. Are you ready for this visual challenge to find out which is Odd picture among given pictures? 1.can you find which picture is different? 2. 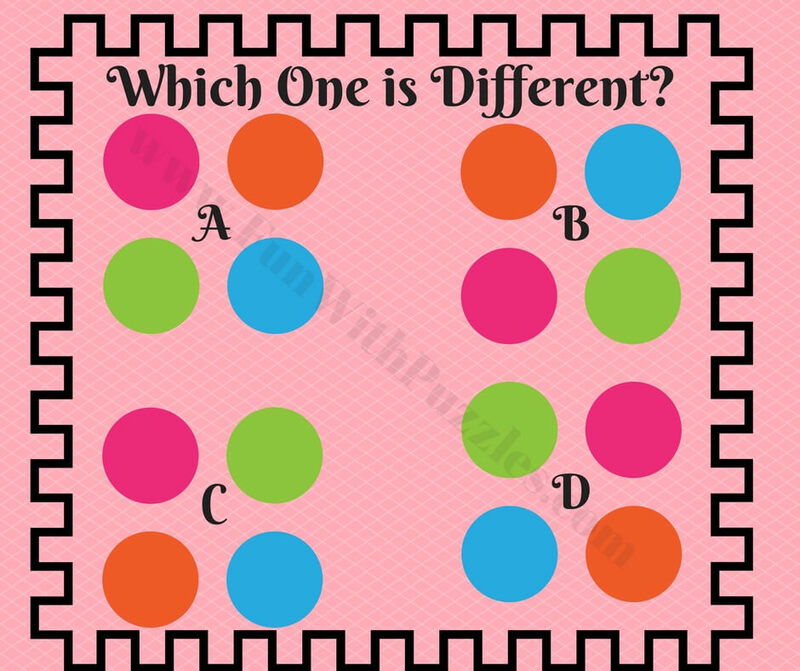 Fun brain teaser to find the odd one out. OK, I have updated answers of these Odd One Out Picture Brain teasers. 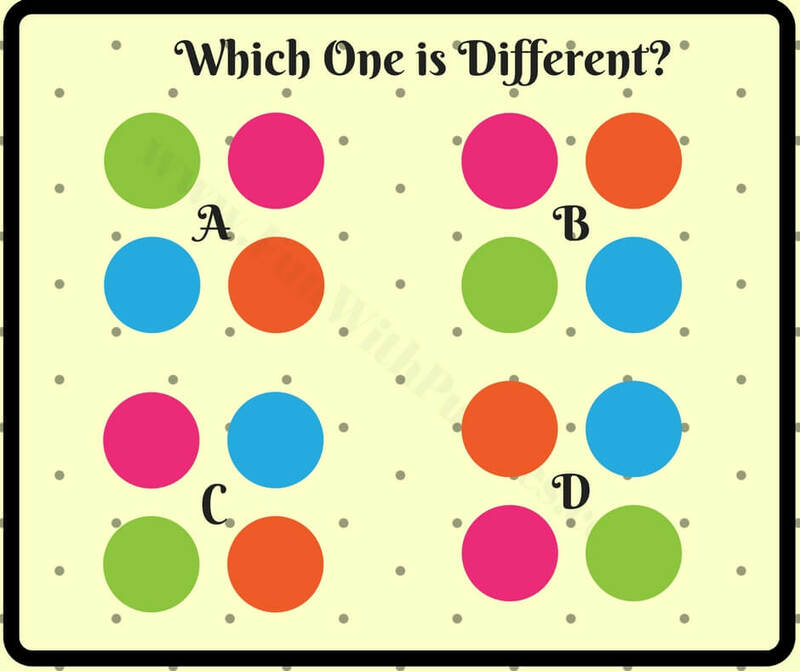 Please do let me know in case you are look for answers of any others puzzles published on Fun With Puzzles website?